The construction and manufacturing industry is replete with management of heavy equipment and things. Any accident will result in loss of crores of rupees and destruction to human life and property. 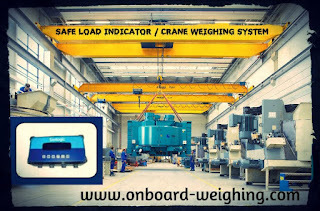 Senlogic Automation Pvt Ltd produces the Best Safe Load Indicator / Crane Weighing System in Chennai, India. Safe Load Indicator/ Crane Weighing System is a security mechanism fitted on cranes to inform the operator if the crane is nearing the safe operating range of the machinery. In Certain cases it applies automatic lock incase situation is outside operators control. A microprocessor will be connected to sensors in the crane as it closely monitor the weight of things while loading and unloading. A crane weighing System will detect angle, weight of the load, radius of crane etc. It helps the operator to work according to the safety chart issued by the manufacturer. Senlogic Automation Pvt Ltd is industry leader in production of devices related to weighing automation activities. The company update themselves with latest technology and follow international industry standards in the manufacturing of its products. It is headed by former Mr. M.S Gujral (Chairman) who was former Chairman-Railway board and Chairman – Coal India.